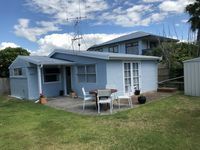 Properties in Te Puke average 4.6 out of 5 stars. 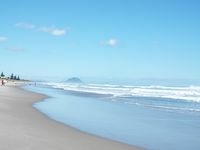 Property 8: Papamoa Beach_Break, modern, clean and inviting. Property 11: One bedroom flat. Borders reserve. Property 21: Does your dog enjoy the beach? Bring him here! Property 34: The Hen House - Book a little break away now! Property 40: Coastal Views are the order of the day! Property 43: Newly renovated and GORGEOUS! Summer's still here! Property 45: Beachside Bliss at Maketu. Property 49: Sparkling new modern flat. Property 50: Barefoot Manor - right on the beach!